Daughter was super stoked to see her lil pikachu had eggs.. Literally woke her up when i was like WOW! Yay I'm finally home from work! 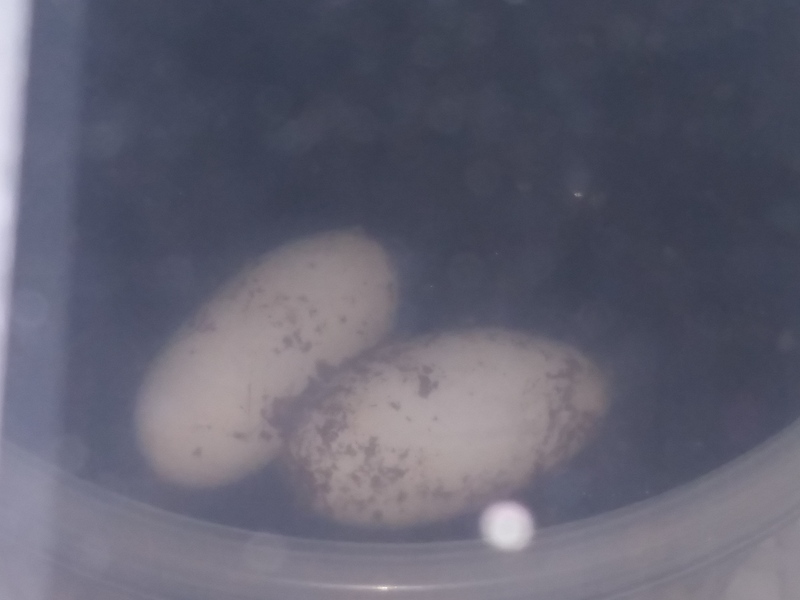 Ok so if you cant tell in the pic they are stuck together, I very very gently tried to separate them but it seemed like they were stuck pretty good so I didn't push my luck and put them in the egg tray as is and they nearly perfectly fit in the little egg spots. Should I just leave them be? I "heard" after a while they will hard a bit an be easier to separate but I don't wanna risk anything, however I don't want them to mold either..
Last edited by Geopard Lecko; 03-26-2019 at 11:49 PM. Just leave them together. It should be fine. Carmella is soo big, I'm wondering if its 2 big eggs or maybe 3? or maybe shes just got 2 ready to go and 2 more not far behind? 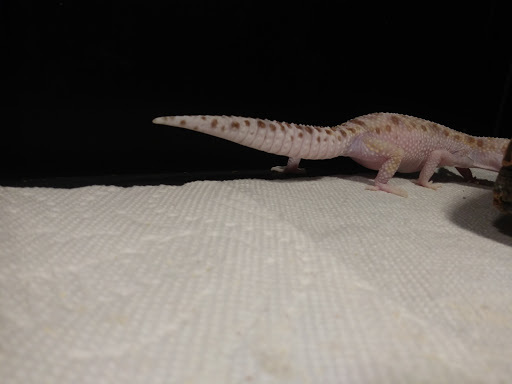 i seriously thought she was gonna pop before pikachu lmao and if i may say so myself, shes such a unique looking gecko i really haven't seen a lot like her. Nice! Really healthy looking eggs. Have you checked if theyre fertile? My 2 latest arent going so well. But not giving up on them. Well Mella looks miserable, poor girl. 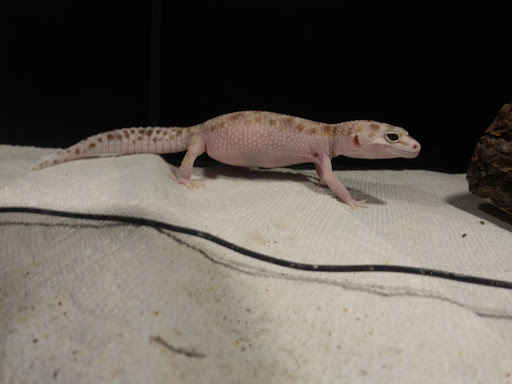 Pikachu is eating like nobodys business but honestly she always has thus far and I figure if she's willing to eat during breeding I'm gonna let her unless its going to hurt her some how? It took Pikachu 29 days to lay eggs from her first breeding so if I went by that math with Carmella then I would suspect I'll be getting eggs between tonight and Monday. Best wishes for Mella eggs SOON! 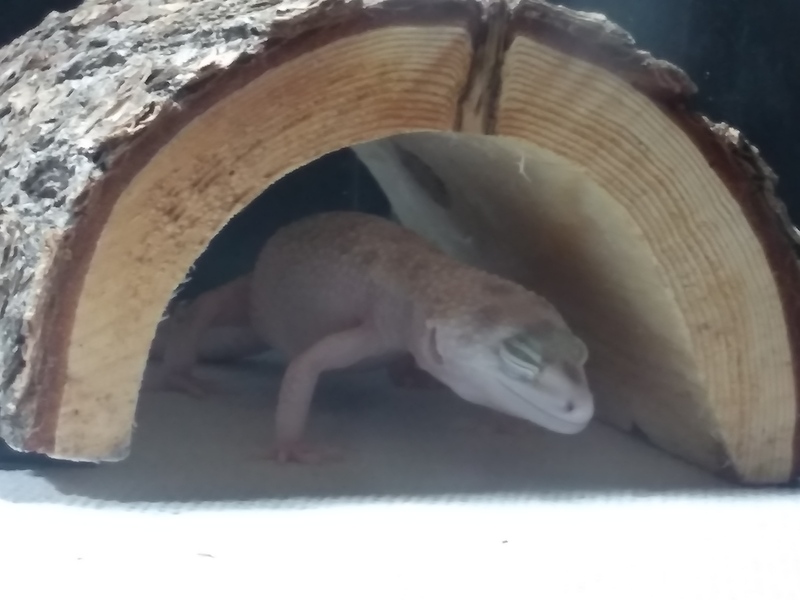 Well still no eggs from Mella but she's been more relaxed lookin still goin between the warm hide and lay hide, btw should the lay hide be on the warm side? That's where I have it. It does look like her eggs are "lined up" tho which is what pikachu did before she layed also. Pika's eggs are just over a week old now, the first few days had me worried as they had dents on the top, but I seen in a post by @acpart that you can put a moist paper towel over em and so I did, I was careful as to not let it touch them which was easy because the egg tray kept it up for me and after 2 days they were plumped up! I am incubating at 90.5~ and I keep water in the incubator tray as well an it reads 77% humidity tho with the sorta sealed container it probably doesn't matter but I dont think it'll hurt either..
Oh and I did shine a flash light threw the container at them and im pretty dang sure I see some pink little babies in there! Last edited by Geopard Lecko; 04-05-2019 at 03:44 AM.